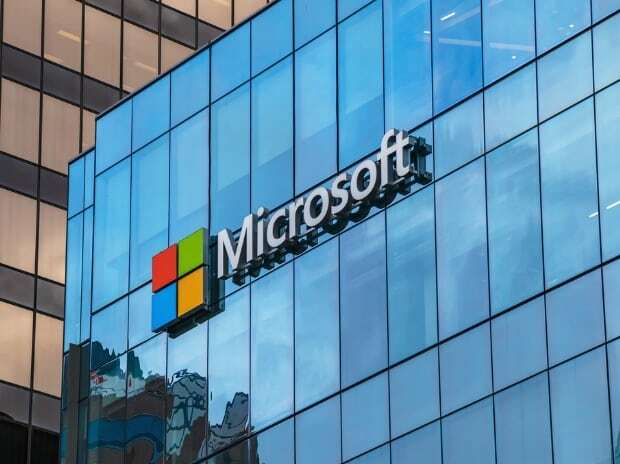 India is a great place for innovation and there is a lot of opportunity for Indian firms and start-ups to work with Microsoft and develop cloud-based tools and platforms for a global marketplace, according to a senior official of the software giant. Alyssa Fitzpatrick, general manager of Microsoft's worldwide channel sales, on the sidelines of the ongoing annual partnership meet of Microsoft 'Inspire', said that some of the great things have been happening in the Indian market from an innovation perspective. She said that Microsoft was going to market with solution maps. "That's gonna give us an opportunity to bring some of the innovation from India into those solution maps and really highlight it for the rest of the world's consumption," she said. A recognised leader for transforming global direct and indirect sales in the software industry, Fitzpatrick has carried responsibility for over 50,000 global partners, encompassing management consultancies, global systems integrators and services partners. Fitzpatrick, a frequent traveller to India when the Indian IT sector was in its infancy stage, cited the example of a small time app developer in India, which now has global presence. "India is a great place of innovation, she said. "I think there is a lot of opportunity in the Indian market to join together with Microsoft, as we're going through this transformation and really give opportunity to develop in our Cloud and produce in our Cloud, so that they can be sold globally in the Cloud," she said. Noting that it is a very exciting time in India, she said it is because they have gone through the entire maturity of the Cloud, and starting to adopt the Cloud. "Where we're at right now is, there is a much quicker adoption happening than has happened in the past. We are seeing an acceleration. It is a very exciting time in India, from an innovation perspective, but also from an adoption of the Cloud, and really embracing that Cloud model," she said. Fitzpatrick said she really enjoyed watching India become a global force. "We definitely see that there is a very strong skill-set that comes in India. And, by working together, it is a very complementary relationship between Microsoft and the Indian market. "We absolutely see that as a very, very positive journey, as the last decade and a half, seeing how India has really stepped up on the global stage from a technology innovation and technology development but also technology implementation prospective. And so, being able to collaborate is a very rich experience with Microsoft," Fitzpatrick said. Chris Hallum, senior product marketing manager, Windows Commercial of Microsoft, said that the company was entering into the endpoint protection market with a complete holistic suite of protection detection and response tools to address the issue of cyber security. "All with one experience for managing it, observing what's going on, the security operations perspective, and we're now a serious contender for endpoint protection," Hallum told PTI in an interview. "We call it intelligence driven protection detection response," he said. Unlike others who are providing cyber security tools, the official said Microsoft has the unique advantage that the people that build the features at Windows are also chartered to understand security and chartered to secure them. "McAfee, as an example, can only hope to understand. They do a good job, so I'm not trying to disparage them, but we do have a unique advantage in our ability to secure our own systems," he said. "We also have the unique advantage, in that we can build the protection deep in the system. When you build protection features that sit on top of Windows, if Windows get compromised I can compromise of things running on top. "If I bait the security features very, very deep in the system then the attacker has to find a way to penetrate very deep so they can compromise those features. By building it deep in the system, it gives us another advantage," Hallum said. Microsoft, he said is also dramatically improving its RS3 called Device Guard in Windows 10. Hallum said Windows Defender Exploit Guard is a brand new feature that will make it very, very difficult for vulnerabilities and for the system to be exploited and for the types of host intrusion types of attacks to succeed as well. Noting that the average cost of security breach is estimated to be $3.5 million, Hallum said the steps being taken by Microsoft would drastically reduce that cost.